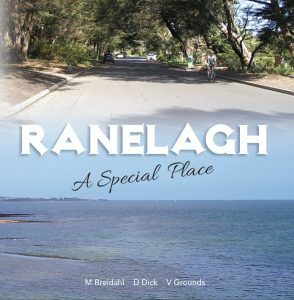 This book tells the story of a romantic early 20th century subdivision in Mount Eliza designed by Walter Burley Griffin as a seaside holiday destination for Melbourne. Listed on the Victorian Heritage Register and classified by the National Trust of Australia, Ranelagh Estate remains today an outstanding example of Griffin’s progressive environmental and philosophical ideals. This 200-page history is illustrated with early photographs and documents, maps and walking trails, comprehensive descriptions of historical events and includes stories of colourful people who lived, built houses and passed through here – including the Griffins themselves. Academics, students, casual readers and tourists will all find this book fascinating.